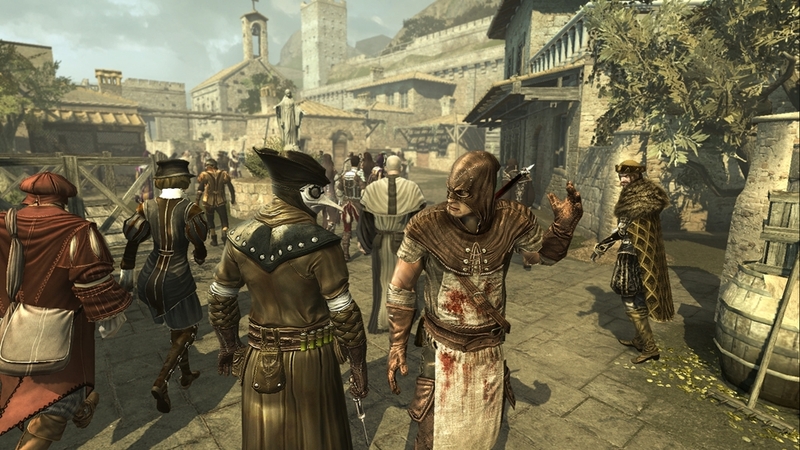 Assassin’s Creed Brotherhood is pretty much a direct sequel to AC:II. Things pick up right after the end of the of that game, and without giving anything away, just know that you’ll be controlling the Assassin Ezio Auditore da Firenze once again and for certain bits Desmond as each get closer to obtaining the information they are seeking. The mysterious Apple of Eden is an item that everyone seems to be interested in Brotherhood. 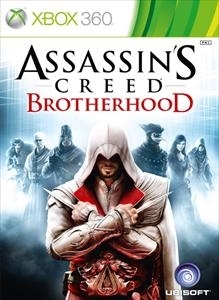 It’s mysterious power could turn the tide in anyone’s favor so Ezio and his band of Assassin’s seek to keep it from the Templars and many dangerous leaders, most notably Cesare Borgia. 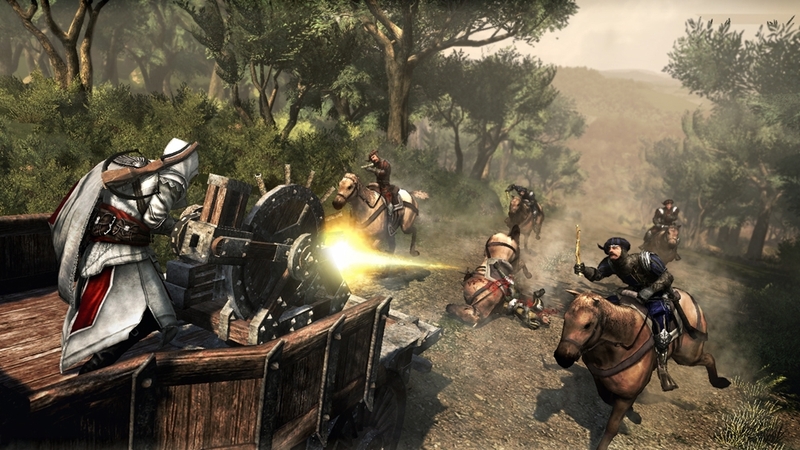 To accomplish this, you can recruit civilians to build up a band of Assassins that will aid in the liberation of Rome. The story is a great one once again, but as with the previous games, the end will leave more questions to be answered. Recruiting Assassin’s is a pretty easy task: all of the potential ones will be under attack when you find them by guards, so you must help them out to recruit a new member. Once you have more assassins, you can send them on missions to increase their skills and rank them up to become an equal to Ezio and the rest of the Assassin guild members. It’s pretty awesome later in the game when you get bombarded by too many enemies and can call in help from recruits and even the odds a bit on your side. This really fits the Brotherhood meaning from the title, and a nice element for this franchise. WTF! I thought that was you! 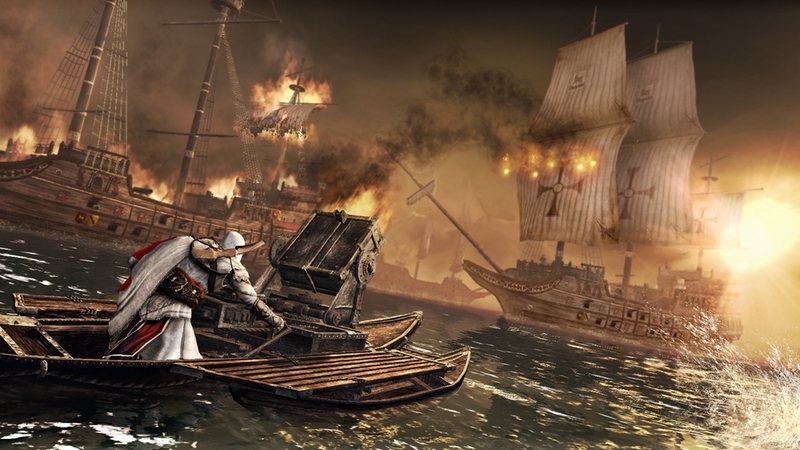 A new addition to Assassin’s Creed Brotherhood is the multiplayer, and man is it fun! You can choose from a few nice modes, but my favorite is wanted. In wanted, you must track down and kill a target while avoiding someone hot on your tail. You choose characters that range from Doctors to Harlequinss, but the kicker is that the world is populated with NPCs that are based on the real players in the match. Let’s say you have to kill a doctor and he his nearby since your radar assists you, but you see four doctors in an area. One of them is the real target, so it’s up to you to find that out. Failure to kill the wrong target will result in a loss contract, as well as more time for your hunter to find you. With a rank of 50 to achieve and unlockable items and abilities at each level, Brotherhood’s multiplayer is no joke. Like with Splinter Cell Pandora, Ubisoft has crafted a new multiplayer experience that can’t be beat. 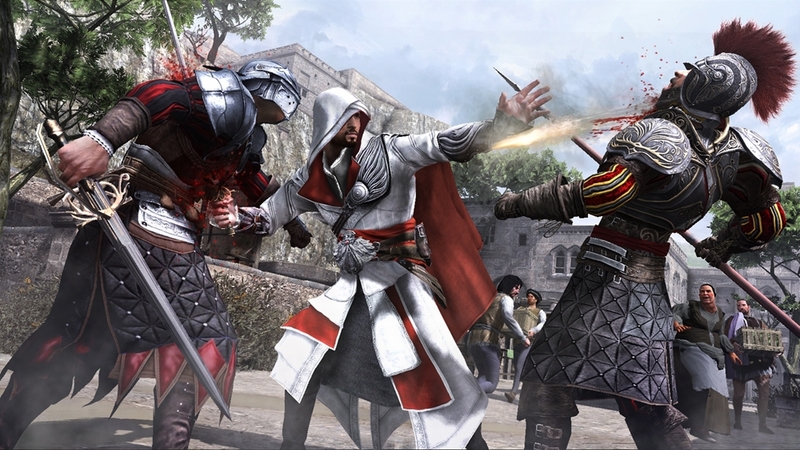 The single player is once again a strong aspect for Assassin’s Creed Brotherhood, only this time it’s accompanied by some awesome multiplayer modes. Even though it’s not a numbered sequel, Brotherhood fits in nicely alongside Assassin’s Creed I & II. If you loved those games, you’ll love this one.